As part of SDLG’s Customer Days 2018, some 150 visitors from across seven Asian countries, including India, toured SDLG’s manufacturing plants in China – one of which is the size of 90 football fields! Factory tour strengthens customer and dealer confidence in SDLG’s quality cost-effective machines. 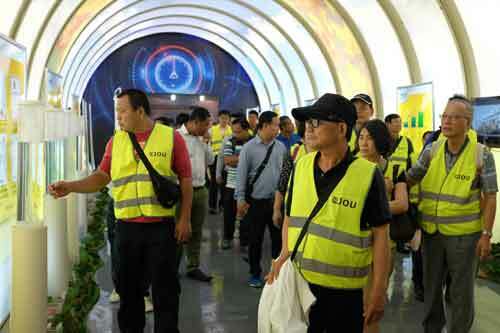 In May this year, SDLG hosted 150 customers and dealers from seven countries across Asia at its manufacturing facility in Linyi, China. 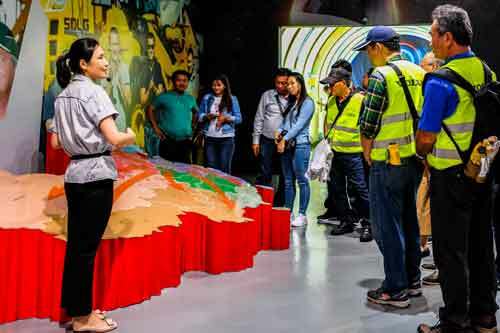 The visit is part of SDLG’s Customer Days program and seeks to build on the company’s momentum in the Asia-Pacific region, where it currently holds strong market positions in countries, such as India, Indonesia and the Philippines. During the tour, visitors saw how SDLG produces its cost-effective and reliable range of machines and tested several SDLG models. Sacheen Madhukar Mulay, managing director of Shreehari Associates Pvt. 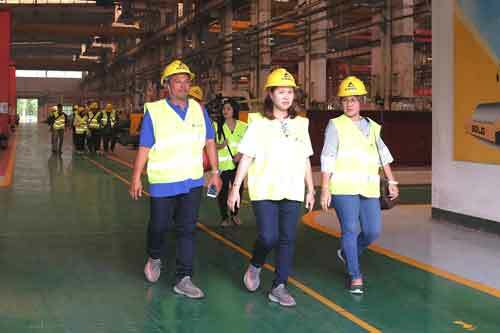 Ltd., one of the participants on the tour, said the trip bolstered his trust in the quality of SDLG machines. In 2017, India-based Shreehari Associates Pvt. Ltd. purchased three SDLG machines: two graders and one loader. The company is currently planning to buy one more SDLG grader and loader each. The two-day tour not only showcased the company’s machines and manufacturing processes but also offered customers and dealers an opportunity to share best practices and get a deeper understanding of SDLG’s vision to provide reliable value machines. SDLG hosted existing and potential customers and dealers from India, Cambodia, Indonesia, Malaysia, the Philippines, Taiwan and Thailand. The first day kicked off with an introduction to SDLG through the Brand Centre (which is an onsite facility that showcases the company’s history, technological developments, and domestic and global footprint), followed by tours of manufacturing plants for wheel loaders, motor graders, excavators, and spare parts. Visitors were surprised at the level of attention and skill the company puts into manufacturing quality machines. Inside a 650,000 m2 plant – the size of 90 football fields – SDLG produces wheel loaders, motor graders, compactors, backhoe loaders and components. The manufacturing facility has capacity to produce 50,000 wheel loaders per year. Separately, SDLG excavators are produced at a 197,000m2 plant, which has a capacity to produce 20,000 excavators per year. “This was my first visit to Linyi, so I came with modest expectations. But, having seen the manufacturing process, I now have greater confidence not just in the machines but also in recommending them to other customers,” said Nuntana Thammathanik, sales director of Ithalthai Industrial, SDLG’s dealer in Thailand. 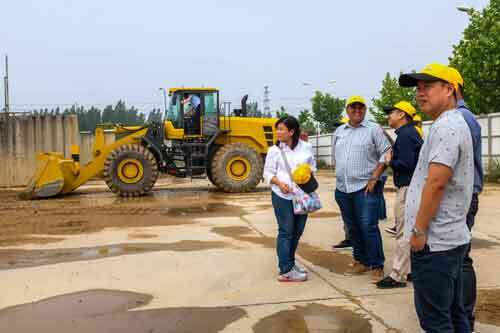 On the second day, visitors experienced the reliability and quality of SDLG machines during test drives of the E690 mini excavator, the L956F wheel loader and the G9190 motor grader. SDLG maintains the reliability and quality of these machines by continuously improving its manufacturing processes, including the adoption of new technology, such as artificial intelligence, to offer actionable insights, boost productivity and reduce waste. “The Customer Days program was a great way of increasing customer and dealer confidence in SDLG machines and manufacturing processes,” said Anthony Neo, SDLG director of sales support for Asia Pacific.